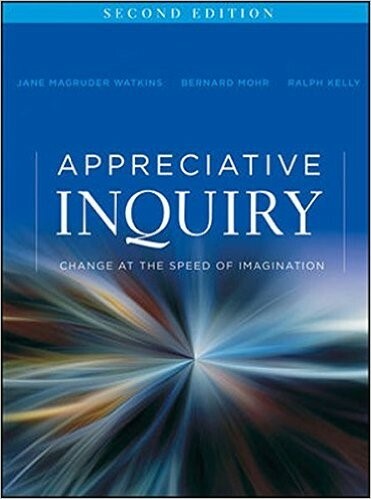 This book shows how the Appreciative Inquiry process helps OD and HR professionals tap into inspiring high point accounts of personal or collective capacity. This new edition puts the focus on how AI really works and adds guidelines on how to apply AI in a variety of organizational situations and for a variety of initiatives such as coaching, leadership development, strategic planning, and team-building. It contains tools and other resources to help with immediate use in the workplace and new and updated case studies that show how it really works. 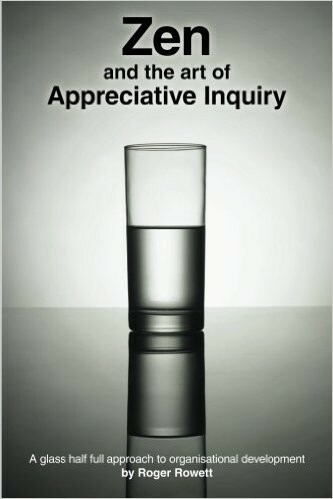 The book provides a step by step guide to the use of Appreciative Inquiry, a ‘glass half full’ approach to organisational development. It also describes the author’s journey in relation to his understanding of AI and how it made sense of his map of the world. A very easy read and good introduction to AI. by Jacqueline Bascobert Kelm. April 2015. 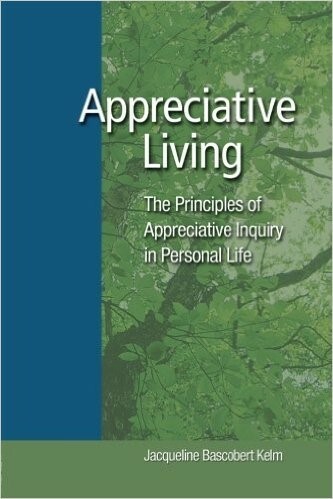 Appreciative Living is the only comprehensive book on the principles of Appreciative Inquiry. It explains the theory and practice of asking questions that empower and direct us towards the life we want, and of creating mental pictures of the future we desire. Part I presents the theoretical foundation by diving deep into the latest consistent thinking and research in a clear, straight-forward manner. Part II focuses on practical applications, and presents a simple 3-step model and exercises for applying the principles in any situation. 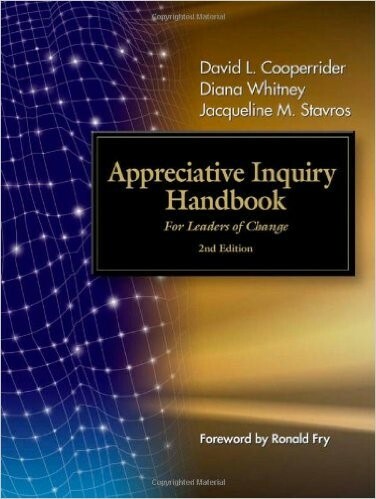 The Appreciative Inquiry Handbook explains in-depth what AI is and how it works, and includes stories of AI interventions and classic articles, sample project plans, interview guidelines, participant worksheets, a list of resources, a glossary of terms, and more. 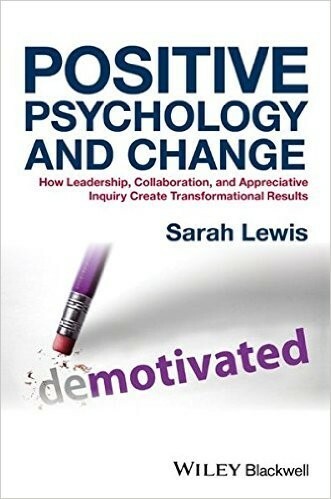 Positive Psychology and Change explores how areas of positive psychology such as strengths, flow, and psychological capital can be applied to the everyday challenges of leading a dynamic and adaptive work community, and how collaborative group approaches to transformational change can be combined with a positive mindset to maintain optimism and motivation in an unpredictable working environment. 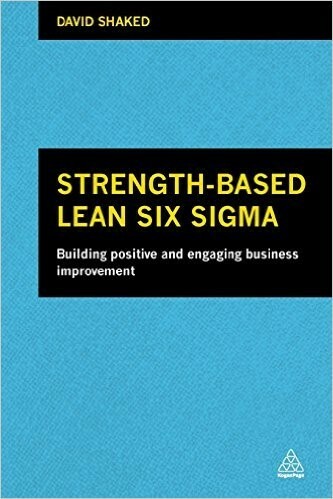 Strength-based Lean Six Sigma is a new way of approaching process improvement that combines the best practices of two established methodologies to generate a new approach in order to help you develop and deliver increased high performance in any organization. It is the first book to use approaches in business improvement as well as organizational change for optimum organizational performance and improved agility.